May 28th will be the first class. Meet in the board room of the Literary Federation which is on the 2nd floor in Suite 210, in the Cultural Center on 400 Jefferson. The class will be from 6-8 pm. Bring something to write on, something to write with and at least four copies of a poem you’d like to share/gain insight on. Please be aware, this is a class which is not about praising work blindly. I am non-judgmental while giving fair evaluations of how a piece of writing can be improved. We will have visitors from time to time that will also join in on the evaluations, give suggestions, however, I will remain your constant facilitator. becomes the renowned literature of tomorrow. A poem to those who view themselves as great poets; who vilify others for the sake of proving their greatness, when…they are in reality pitiful, insignificant writers who desire to be poets. Poetry is one of those literary genres that instill a fear in students, particularly in the middle school arena. Metaphor, sonnet, acrostic, haiku, rhyme, prose, or free verse are examples of hundreds of poetry terms and forms. Confusing for a young impressionable mind to absorb, poetry is often a subject to avoid, and if unavoidable, often solicits a desire to cheat to succeed. Throughout the internet, are sites where students ask questions soliciting someone to explain or write them poetry to complete a homework assignment. Poetry is not a written or spoken form to be feared, rather should be the educational tool that teaches reading, writing and the arts as no other single genre is capable. Writing poetry ought to be fun allowing students to express their feelings, beliefs, and experiences without the restriction of initially teaching them to write and interpret forms of poetry that are difficult for most to understand and usually result in a lifelong hatred of the arts and poetry in particular. Poetry is the absolute beauty of the human heart expressing emotion in a form that delights and leaves the reader with a feeling of contentment in one spectrum, and a feeling of remorse in another. No other form of writing has the ability and power to inspire the emotion created through poetry. Teaching students to interject their thoughts and emotions in poetic verse earns enormous benefits which may be applied to virtually any subject. We do not normally think of poetry as a tool for understanding history, music, literature, art, or mathematics yet through poetry, learning may actually become fun. Free Verse is the ideal form to use as the first poetic style to teach students. As they learn to express themselves and gain confidence, they may be introduced to the terms and other forms of poetry to increase their base of knowledge for future benefit. What is Free Verse? It is a type of poetry that has no set pattern or style. Since there are no set rules for form, some may rhyme, use some rhyme or not rhyme at all. If rhyme is used, it is important to not stress the rhyme; do not rhyme for the sake of rhyming. Since most poetry written today is free verse and generally incorporates limited use of rhyme, many people are under the false impression, if the verse does not rhyme, it is not poetry. Poetry does not require rhyme to be poetry. The following is an example of free verse without rhyme. the mouse lies quietly in the field. Free Verse poetry is evolving as patriotic, humorous, about nature, prior experience, as serious or complex, it matters not the subject; any theme may be written as free verse. This is a very flexible style of poetry and why people of all nations, educational backgrounds, and experience enjoy writing free verse and why it is so popular. As an educational asset, take my advice; use free verse to write poetry that increases confidence and ability, changing young minds into sponges of creativity. 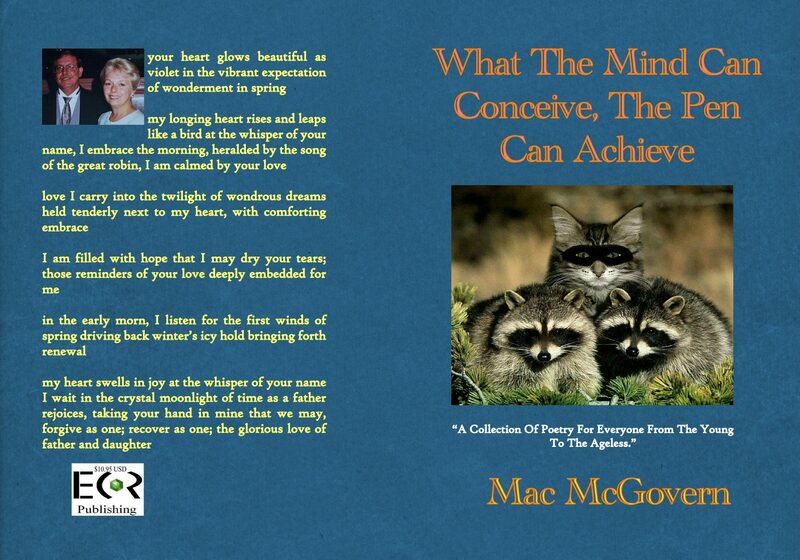 Mac McGovern writes poetry, ezine articles, and blogs, visit his personal website at: http://allpoetry.com/mac_mcgovern for more free verse poetry.